With the Christmas shopping season soon arriving, consumers are gearing up to get the hottest toys, gadgets, and electronics for their loved ones. We’ve done the research to help you pick out the best gifts this holiday. Apple shattered sales records with the release of the iPhone 6 and iPhone 6 Plus this past fall and both phones are sure to be a hot commodity for Christmas. Apple finally addressed consumer complaints by increasing the size of the screen, upgrading the processor, improving the camera and dramatically increasing battery life. IOS8, the operating system on the iPhone 6, is clearly the best version of Apple’s operating system ever. It’s simple to use, comes with a plethora of new and helpful applications, and it’s the fastest and most efficient operating system to date. 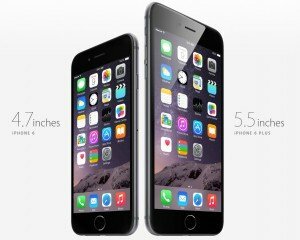 If your loved one is in need of a new phone this holiday season, then the iPhone 6 or iPhone 6 Plus is clearly the way to go. The standard price for the 16GB iPhone 6 is $199 with a contract, whereas a 64GB is priced at $299 and the 128GB is at $399. The slightly larger iPhone 6 Plus starts out at $299 and can cost as much as $499 with a contract. Sprint is currently offering a $50 unlimited calls, text and data for the iPhone 6 and 6 Plus. The handheld gaming world is far from dead and this year the Sony PlayStation Vita is likely to be the must-have handheld gaming device, particularly the 3g model. The Sony Vita is by far the sleekest and best overall handheld gaming device. With a silver metallic finish and some of the best visuals money can buy, you can immerse yourself into the gaming world with a device that is as functional as it is aesthetically pleasing. In fact, the Sony Vita is by far the most powerful portable gaming device ever. Gamers can feel comfort in knowing that the Sony Vita was created for the best possible user experience to date. With the first ever dual analog controllers and a large rear touchpad that isn’t overly sensitive, the gaming experience offered by the Vita is unmatched. Gamers looking for a revolutionary gaming experience will absolutely want to get the Sony PlayStation Vita 3G this year. The 3G model is by far the best version to buy and it will cost you $299, although the price is well worth it. 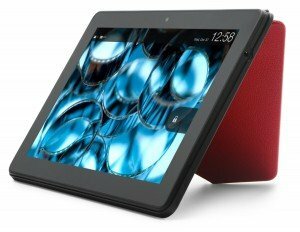 The tablet market is sure to be hot this year and among the best tablets is the Amazon Kindle Fire HDX 8.9. The lightweight tablet with lightning speed was designed to compete with other tablets on the market and Amazon perfectly executed its plan with the Kindle Fire HDX 8.9. Among some of the new features include a faster, more powerful processor, a much improved 8MP rear-facing camera with LED flash, instant video downloads for Amazon Prime members, and an inventory of new apps to maximize productivity. Plus, you can now experience up to 12 hours of heavy use and 18 hours of use if you’re just reading. With over 100,000 apps and games available on the Amazon Appstore and a free “paid app” available every day, the Kindle Fire HDX 8.9 has something the whole family can enjoy. Plus, with a modest price tag of $349 for this revolutionary tablet, the Amazon Kindle Fire HDX 8.9 is sure to sell like hotcakes this holiday season. The New SoundLink Mini Bluetooth Speaker is our #4 gift thanks to its sleek design and high quality sound unmatched by any other home speaker. Despite its small size, you’ll be pleasantly surprised with the booming sound even though the speaker is about the size of the palm of your hand. The overall quality of the Mini Bluetooth Speaker is sure to impress and it gives you the feeling that you’re getting a premium speaker, all for the price of around $200. In the event you don’t have Bluetooth, you’re not out of luck because there is a microUSB port on the side which allows you to plug it in to almost any phone or mp3 player. The Bose SoundLink Mini Bluetooth Speaker is a perfect gift for someone to use around the house. 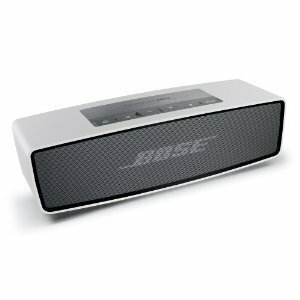 It’s high quality sound, versatility, and convenience of use makes the Bose Mini Bluetooth Speaker a dynamite gift this holiday season for music enthusiasts. 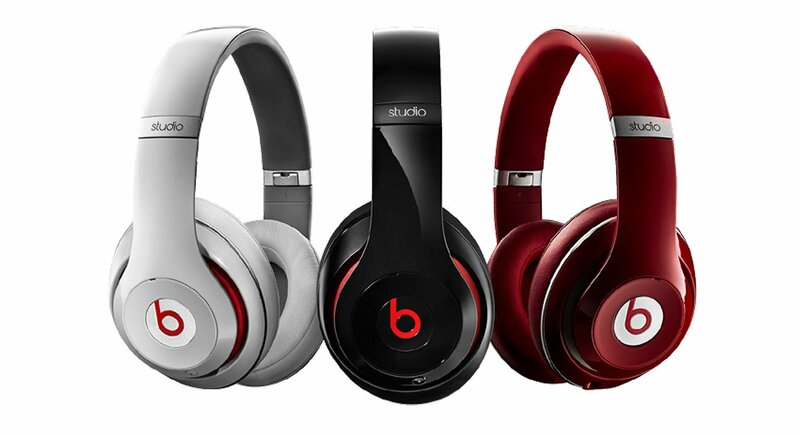 The #5 top holiday gift for 2014 is the Beats Studio Wireless Headphones. Known for their commercials with several NFL athletes, Bose has by far outdone itself with the ultra-comfortable, high quality Beats Studio Wireless Headphones. These high-tech Headphones have active noise-canceling and Bluetooth technology, which means you can listen to music from your smartphone or mp3 player with the click of a few buttons. While you may notice that the Beats Studio Wireless Headphones are made of plastic, the finish on the headphones gives a premium feel and the ultra high-quality sound is truly unmatched. Despite the $380 price tag, the Beats Studio Wireless Headphones are the must-have headphones during this holiday shopping season. With premium sound, a sleek design, and the best noise-canceling technology on the market, the Beats Studio Wireless Headphones are the only headphones worth being on the top 5 Christmas gifts of 2014. These five gifts are our top rated Christmas gifts of 2014. These gifts are sure to bring your loved ones endless joy this Christmas. Whether it is the iPhone 6/Plus, the Sony Vita, the Amazon Kindle HDX 8.9, the Bose Mini Bluetooth Speaker, or the Beats Wireless Headphones, your loved ones will feel like they hit the jackpot this Christmas season!